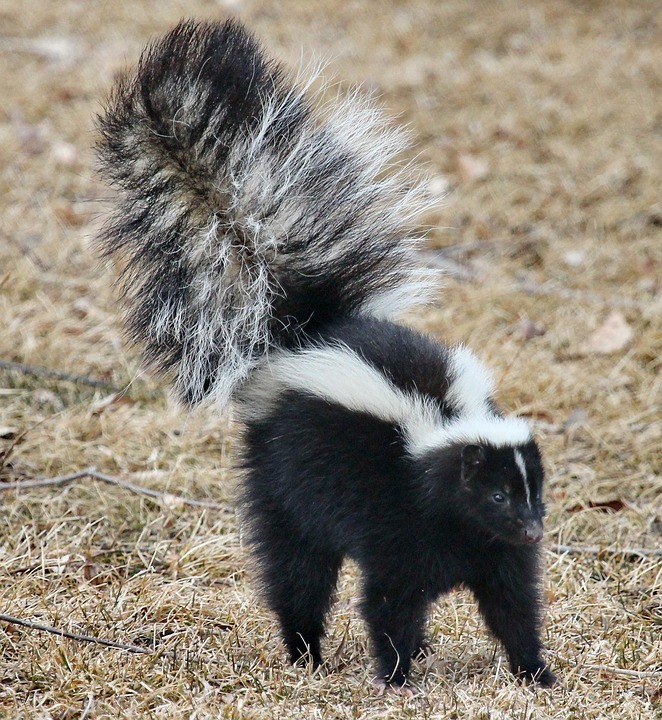 What do managers and skunks have in common? Once upon a time in the woods there lived a family of skunks. There was a mother skunk, a father skunk, and twin boy skunks. The mother’s name was Up, the father’s name was Down, and the twin boys were named In and Out. Because it was dangerous in the woods, the mother skunk, Up, was very insistent that the boys never go out alone. But one day, while Up was downstairs, and Down was upstairs, In went out. When Up came upstairs, she was frantic to see that In was not in the house. In looked down and Down looked up, but In was nowhere to be found. When they asked Out where In was, he said that he thought that In was out. So Up and Down went out to look for In. Up looked low and Down looked high, but In was nowhere to be found. Up and Down came back into the house in a frantic mood. Out said he would go out to look for In, and in desperation Up and Down agreed. Out went out, and a few minutes later came back in with In. Up and Down exclaimed: “Out, how did you find In so quickly? Okay, it’s a groaner, and it works better out loud, but I find the play on words with “Instinct” and “In stinked” very amusing. But you ask, so what does that have to do with effective management? The sad truth, is that most managers do their managerial work based on pure instinct. Think about it. Who teaches managers how to manage? 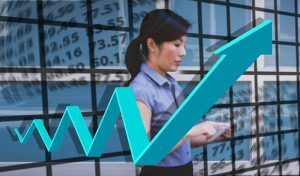 Universities do a good job of preparing us for all kinds of business decisions, and understanding the organizational and economic environments. There are many very good programs for front line managers helping them understand some management processes. But the actual act of managing others – being accountable for the output of a team… how is that learned? Managers manage based on what they have experienced from being managed with a large helping of gut feeling about what is right. Think about your organization for a moment. I would bet that in some parts of your organization there are those teams that do well. They score highest in employee engagement surveys. They meet or exceed their targets. Team members are invited to sit on projects. Imagine how successful your organization would be if every team performed at the same level? I say emphatically that there is absolutely no reason why they can’t. We need to embrace management as a science, and give our managers the basic tools they need to be able to manage well. We wouldn’t send a delivery driver out without training. We don’t send people into the plant without safety training. But we regularly take our best professionals and appoint them to managerial roles and let them “figure it out”. Every time this happens we risk that person failing as a manager. And then we loose the professional, because they won’t go back. There are two areas where managers can to do better. 1. Understand the three fundamental capabilities required for successful management. The right Capability: The problem-solving capability required for the complexity of work at their level. The complexity of work changes from level to level in the organization. People successful in a role may not have the problem solving capability to be successful at the next level up. The Skills and Knowledge required for leading and managing at their level. For managers this must include managerial leadership skills appropriate for the level of team members they will be managing. Passion for the work: In managerial terms, the full Application of their capability to all aspects of the job. For managers this means they have to enjoy, and be willing to apply themselves fully to the work of managing. 2. Understand the 5 Key requirements of Effective Managers. Effective managers have a plan that links, through their own manager’s plan, to the organization’s overall strategic plan. They focus on their plan and use it to determine what will be done and what will not be done. Effective managers manage. They realize that management is a requirement of high performance. In addition, effective managers also have to ensure that they carve out enough time to do the work that only they, with their capability, and in their position, can do. This is the value-added work of the position. Effective managers set context and boundaries for subordinates. This creates a chain from the top of the organization to the front line managers. Everyone understands their role and how it contributes to the strategy so they can use their judgment to make decisions and take initiatives. Effective managers delegate work effectively This is a critical element for success in terms of delegating the correct degree of accountability together with the required authority to achieve results. Effective delegation creates a direct link between each manager’s objectives, delegated work and the organization’s strategic plan. This link is critical for ensuring that work throughout the organization is aligned. Effective managers create feedback loops. These are two-way in nature and create channels of full communication with the team as a whole, with each team member individually, with peer managers in other parts of the organization, and with the community to the extent required. Feedback loops vary in complexity depending on the level within the organization, but they are all critical for success. 5 Requirements of Effective Managers, The Single Most Important Requirement for Managerial Success, Strategy Execution – How to Create a High Performance Culture, Are Your Managers Prepared to Manage?